Paranormal Activity: The Ghost Dimension is available for you to view at home (and on the go) now. TechnoBuffalo and Paramount Pictures are teaming up to bring you the frights and chills! Four lucky winners will receive digital copies of Paranormal Activity: The Ghost Dimension. You will get to enjoy all the chilling happenings at home or wherever you choose to download this film. Entries will close on Tuesday, December 22, 2015. Contest runs through 11:59 PM PDT on Tuesday, December 22, 2015. Four (4) winners will receive one (1) Paranormal Activity: The Ghost Dimension download code. Remember, the contest closes 11:59 PM PDT on Tuesday, December 22, 2015. 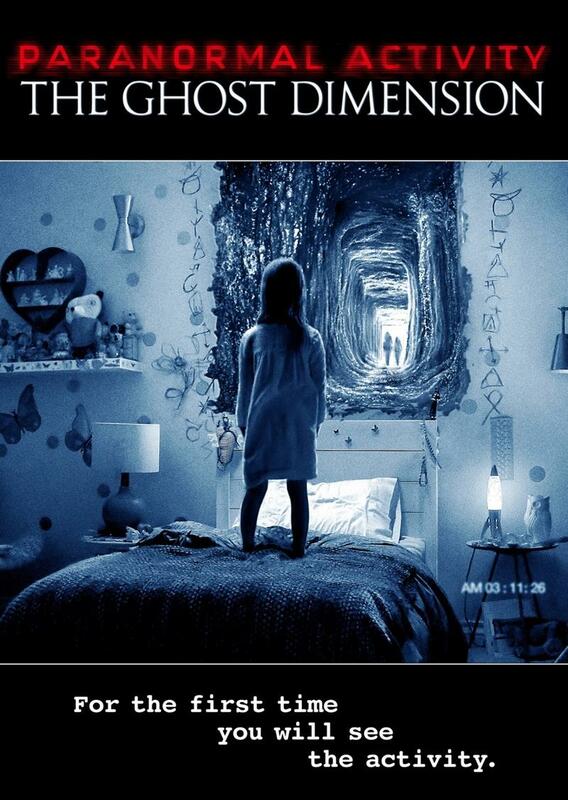 "Packed with jump scares" (Clark Collis, Entertainment Weekly) and "mile-a-minute frights and chills" (Steve Barton, Dread Central), the latest installment of the groundbreaking horror sensation, PARANORMAL ACTIVITY: THE GHOST DIMENSION, is now available in the original theatrical version or an even more terrifying unrated version on Digital HD and On Demand from Paramount Home Media Distribution. The film arrives on Blu-ray Combo Pack, Blu-ray 3D Combo Pack, and DVD January 12, 2016. When a new family moves into Katie and Kristi's former house, they discover a mysterious video camera that reveals the presence of an ancient evil that begins to terrorize their lives. Now, with their young daughter's soul in danger, they must fight back against this demonic threat before becoming its next victims. The PARANORMAL ACTIVITY: THE GHOST DIMENSION Blu-ray and Blu-ray 3D Combo Packs include three versions of the film: the original theatrical release, the unrated cut, plus an unrated cut with an alternate ending not seen in theaters. The Blu-ray 3D Combo Pack also includes the original theatrical release and a deleted scene in 3D. The Blu-ray 3D Combo Pack includes all of the above, as well as a Blu-ray 3D disc with the theatrical version of the film and a deleted scene in 3D and high definition.